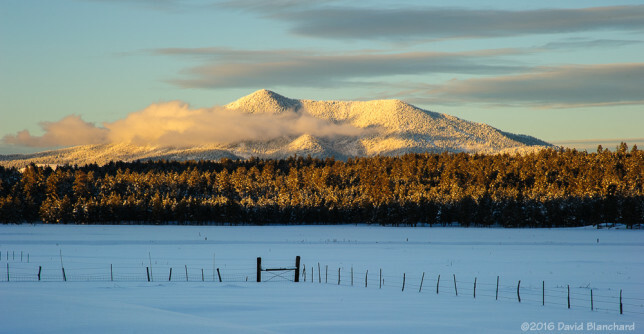 Clouds swirl around the snow covered Kendrick Peak. 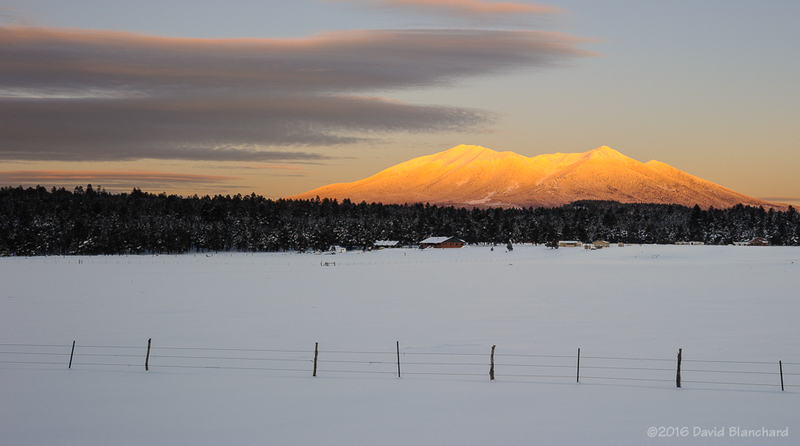 Sunset colors illuminate the Kachina Peaks. After five days of snow the skies finally cleared showing several feet of new snow on the peaks of northern Arizona. Late afternoon shadows race across the meadows of Brannigan Park while sunlight continues to illuminate the high peaks.